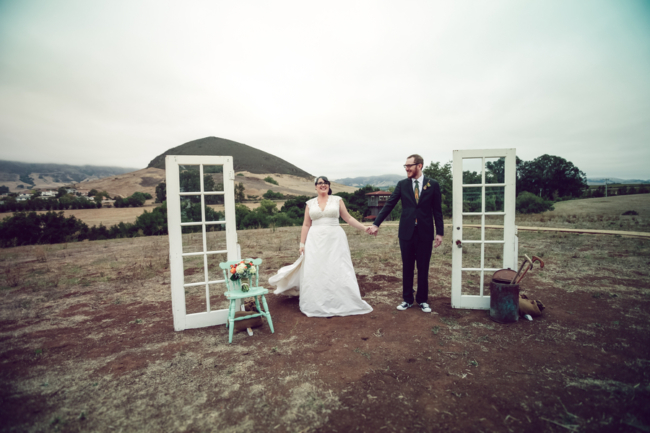 Erin and Matt had a really amazing wedding day. 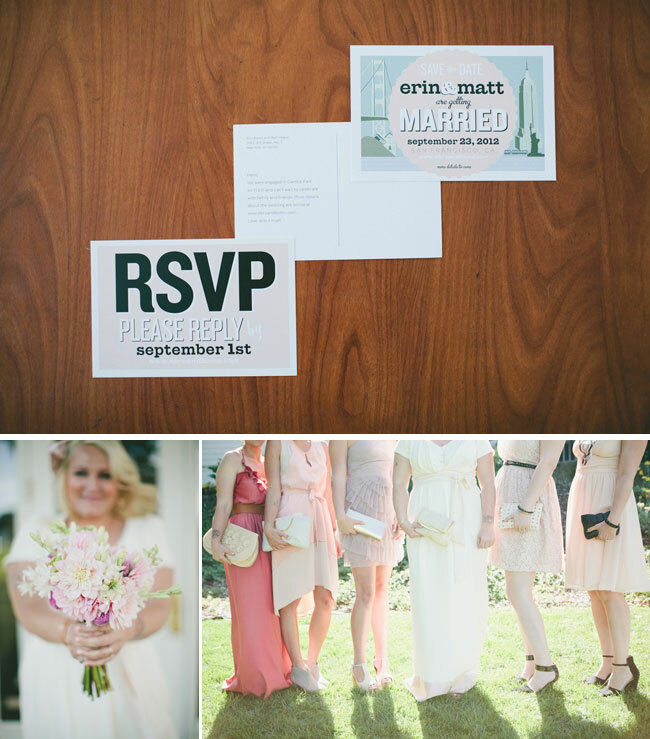 We love their personalized details–sunglasses, cassette tapes, records—all made their wedding that much more special. 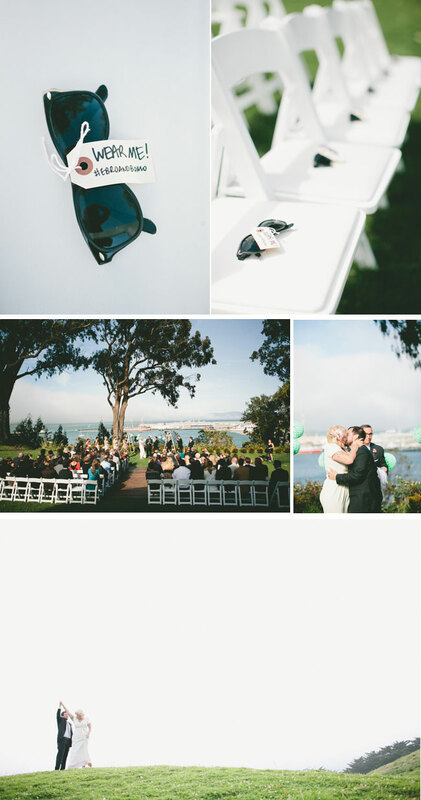 Great wedding blog !Photographs are amazing. 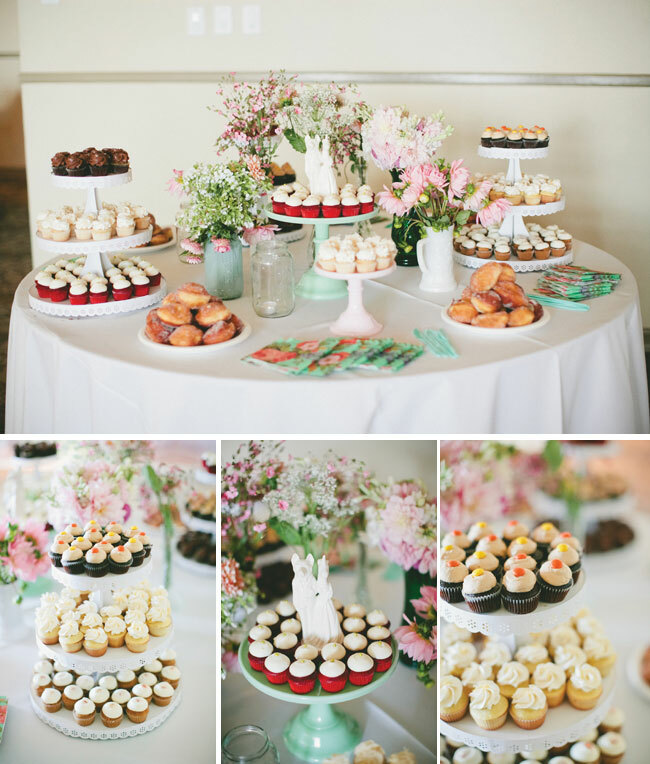 The colors are so wonderful and the wedding was SO FUN! One of my favorite SF venues and Tacolicious? Amazing! The table settings are absolutely charming! But the 45rpm records, cassette tapes, and shades are such fun added touches!